Shemas Eivers is the MD of Client Solutions and he was at a meeting I also attended recently. Shemas was asking about tools for SEO and when I replied that blogs are the most powerful tool I know of for increasing SEO, Shemas didn’t seem to believe me. Fair enough. Shemas this post is for you! Why are blogs so good at increasing a website’s SEO? There are plenty more good reasons why blogs punch way above their weight when it comes to search engines – please feel free to add more in the comments. Shemas, if you do a Google search for Shemas Eivers right now, why do you think the top ranking sites are blogs? There’s an article in today’s New York Times which claims that journalists are now writing their article headlines with search engines, not human readers, in mind! This is sounds like a really bad idea in my humble opinion – sure you need to bear search engines in mind when writing articles and titles but don’t let them dictate your post titles to you completely. Why? Sure you need to be listed in search engine results – but you also need a human reader of the results to click on your link. If your title is a really boring title designed solely to attract search engines, no-one will click through to read the article and your search engine optimisation is in vain. Kudos to Michele for pointing out the Organic SEO Wiki – the “organic” refers to the manual type of page optimisation, as opposed to automatic submittal and page alteration. Perfect for DIY SEO enthusiasts – and the fact that it is a wiki means that you can contribute to the site as well. Business blogging "brings the most marketing and sales returns"
Business blogging more than pays for itself according to a study carried out by Backbone Media – a Boston based company specialising in integrated search engine marketing and website design strategies for Business to Business companies. The survey includes case studies of blogs run by IBM, Microsoft, Maytag, iUpload, and Macromedia. Looking at this from the perspective of an Internet marketer, there are obvious SEO benefits to publishing relevant content that is search engine friendly and getting more backlinks. However, a successful blog can do so much more. It can build a better company. Every company is at a different stage in their blogging efforts, some are dipping their toe into blogging and getting good results, in terms of higher search engine rankings and thought leadership, while others have changed their whole product development process to make their company as open and transparent to customers as possible. The benefits of blogging are many, but it seems that to build and achieve the best results using blogs, a company must cross a cultural chasm that turns customers into brand evangelists. The interesting thing about this concept is that if you do build a business blog and engage your customers, it is entirely possible to turn your clients into “brand evangelists” as John Cass says and there are few more powerful sales reps than satisfied customers! where 49 is the post number. Of course, if you combine that with the advice on category name selection I mentioned yesterday, you get a double whammy! In my own case, my Permalinks are set to /%postname%/ and consequently I can’t access my Awstats folder. I have set my Permalinks to /%postname%/ because that structure gives the maximum SEO benefit – the further down the URL your keyphrases are, the lower they will appear in Search Engine results. The way around the Awstats issue for me is to change the Permalink structure to /%year%/%postname%/ briefly, access the Awstats folder and change the Permalink structure back. This method is unsatisfactory because anyone following a link to a Permalinked article on the site will get a 404 while the structure is altered, but it is the best I have come up with so far. Technorati is a search engine which automatically receives a notification from weblogs as soon as they are updated. Technorati Tags are a way of classifying blog posts – you can add tags to your blog posts by adding a rel=”tag” to tag links in your posts – however this method is cumbersome and prone to mistakes. Fortunately, if you are a WordPress user, Technorati automatically recognises your categories and uses them as Tags to classify your posts. Why are Tags important? Well, if I want to see what has been written by bloggers recently on any topic, I simply browse to the Technorati Tag page for that topic and see all the latest posts. For instance the Technorati Tag page for Security at time of writing contains 4,620 posts from 850 blogs, all on security related topics. But wait, there’s more! I can do a search in Technorati for a term of interest – and if I want to keep an eye on what people are writing about that term moving forward, I can create what is called a Watchlist for that term (the term can be anything – your company name, for instance – or your competitor’s name!). A Watchlist is a saved, constantly updating search so you can go back to the search and at any time see the latest posts on your term of interest. 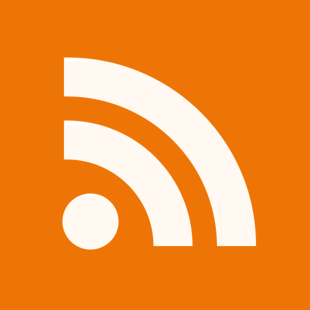 It gets even better, your Watchlists are also available as RSS feeds so you can keep an eye on them using your RSS reader! Given that Tags are important and that WordPress categories translate into Technorati Tags, it follows that you should chose your WordPress category names very carefully. For instance, if you want to create a Category for posts about about your blog – you could call it, Blog, Blogging or Weblog. If you look at the equivalent Technorati Tags for these terms, you will see that the TagBlog has a Google Page Rank (PR) of 5 and has 42,678 posts from 7,422 blogs; Blogging has a PR of 4 and has 15,131 posts from 2,295 blogs; while Weblog has a PR of 2 and has 55,823 posts from 3,552 blogs. So from a Search Engine Optimisation (SEO) point of view, the best category name (of the three) to chose in WordPress would be Blog because it has the highest Google Page Rank (and has the highest number of associated blogs). A page with a high Page Rank linking to your site increases your own Page Rank and therefore your SEO. Something to consider when creating WordPress categories. Keyword Research is by far the most important aspect in any Search Engine Optimisation initiative. Keyword Phrase Research is a process of selecting the â€œoptimumâ€? keyword phrases that will bring relevant visitors to your site. Even if you achieve high search engine rankings, you may not get relevant traffic if you select the wrong keywords (i.e. if you are an Irish law firm, do you want to target people who search for â€œAttorneyâ€? or people who search for â€œLitigation and Dispute Resolution Irelandâ€??). The keyword research phase will consist of i) discovering keyphrases, ii) analysing keyphrases, iii) selecting keyphrases and iv) deploying keyphrases. The discovering keyphrases phase will consist of combining existing keyphrases with ones gleaned from the site logs, competitors websites, and the target audience review and analysing them using tools like WordTracker and Overture to expand the list to include all possibilities. In the keyword analysis and selection phases the keyword list will be refined based on factors like competition for particular phrases and PageRank to produce a focused list of 15-20 keyphrases. Focused key phrases not only give your site a better chance to rank, they deliver highly targeted traffic resulting in higher traffic to client conversion ratios. The keywords should be deployed on the site carefully to maximise their effectiveness (positioning the keywords optimally on the page, making use of H1 tags, etc.) while avoiding over-repetition of keywords on a page (might be interpreted as spam by the search engines). Also, devising individual customized keyphrase strategies for each page on your site will be vital to your projectâ€™s success – to this end, ensure you include your keyphrases in your page titles and page descriptions. You can significantly mitigate the costs of marketing your blog with some careful (ethical) SEO (search engine optimisation) tactics. Primary among these is to have a blog which is web standards compliant. Search engines love standards compliance – to this end, WordPress is a great blogging tool as it is standards complaint out-of-the-box. Having said that, if you have access to a developer, you can get the developer to design a standards compliant template for most blog apps. Secondly, generate inward traffic/links. The only way to do this (apart from paid ads etc.) is to generate content on your blog that is compelling enough that people will link to it. Also leaving relevant comments on other’s people’s blogs will bring curious readers of those comments to your site. And finally, get your blog listed in a directory like dmoz or LookSmart. All these take time and effort but they will ultimately pay off and are free! The second step in a Search Engine Optimisation project is to get some metrics on the state of the site before the Optimisation project proper commences. If you missed the first step in this Search Engine Optimisation project, you can see it here. To achieve this we will first need to carry out a benchmarking of the site’s current web traffic statistics to enable tracking of your ROI. There are several web stats analysis applications available for this task. The main free ones are Webalizer, AwStats and Analog and I find that using a combination of these tools is better than relying on any one. Mostly at this point we are looking for the amount of traffic to the site – we will be comparing this against the amount of traffic coming to the site as the project progresses. To perform this step, however, we will need a list of keywords/phrases to use as our baseline. Some of these will be gleaned from the web traffic statistics in the previous step (what words and expressions have historically been used to find the site) and some will be ones which you want the site to be found by. I will be writing up the next step in this project in the next couple of days. It is estimated that 90% of all online traffic is achieved through the various search engines. If your Web site doesn’t have a page appearing in the top 10 search engine result positions (SERPs), the chances of someone clicking on your listing, and actually visiting your site, are low. If you’re not in the top 20, the chances that someone will scan through the SERPs and find your page, drops dramatically. Hence, Search Engine Optimisation tries to help organise your page/site so that it will move up the Search Engine Results and thus be found. Search Engine Optimisation has been controversial in the past with many Search Engine Optimisation companies using unscrupulous methodologies to get sites up the rankings quickly. These methods are now largely discredited and using them can get a site banned from search engines. A study from IMT Strategies demonstrates that a company’s presence on relevant search engines is the most important medium for maintaining high brand awareness ‘ more important than the printed media, radio or TV commercials (Sales & Marketing Management Magazine, January 2001). A study by Direct Marketing Association found that search engine optimisation/positioning was evaluated by webmasters as the single most important activity for generating traffic to the website (66%), followed by e-mail marketing (54%). A poll by Iconocast concludes that 81% of UK internet users find websites via search engines (Source: June 2000, Forrester Research Inc., “UK Internet User Monitor”). The tenth user survey from “The Graphics, Visualization & Usability Center” (GVU) showed that 84.8% of respondents found information on websites from search engines. According to a study published by NPD Group, 92% of online users making a purchase over the net use search engines to find the relevant website. A study carried out by IMT Strategies discovered that search engines were the most popular medium (46%) for finding websites. Random surfing and word of mouth shared second place (20% each). Search engines are the “busiest” and most used websites on the net – cf. RelevantKnowledge or MediaMetrix studies. A study carried out by Jupiter Research in March 2001 gives search engines 9.1 points on a scale from 0 – 10 as the most important online media. The No. 2 spot got 6.3 points. According to a study among marketing executives search engine optimisation/positioning was considered the most profitable website marketing activity. Far more effective than, for instance, banners, e-mails and offline marketing (Source: WebCMO). A study carried out by the NPD Group showed that more than twice as many of those asked could recognise the names of the companies in the top three placements of the search engines as could recognise the names of companies which used banners. Over the next few posts in this category I will outline a process which, if followed, should help any page/site improve its search engine ranking.